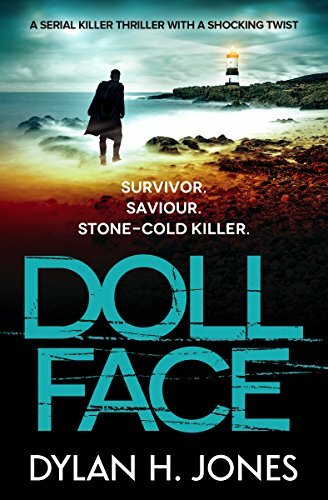 Firstly I wish to thank Sarah Hardy of Bloodhound books for inviting me to take part on this Blog Blitz for DOLL FACE by Dylan H. Jones. 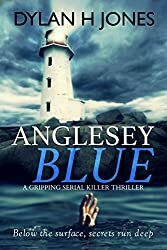 investigation to catch a killer terrorizing the isle of Anglesey. I read Anglesey Blue last Autumn and just grew to love DI Tudor Manx. He is no James Bond, that is for sure. He had been after the steadier life when he returned to his home town but well it just wasn’t happening. He is three months down the line with his last investigation under his belt before there is again a real head case on the loose. The number of residents on the small Isle, within spitting distance of the shores of Wales, are rapidly decreasing. This definitely calls for the skills of the methodical minded Tudor Manx. I mean why jump in with both feet when you can test the waters with one! Now let me say that from opening this book I had the heebie jeebies, ok, ok, I was down right scared to death of this killer. I can read about the most gruesome killings and this one is pretty bloody but not wanting to spoil it for anyone, it was what the killer was wearing that got my mind all of a panic! Oh boy did that cause some heart palpitations. I am always fascinated to go into the mind of a killer and Dylan Jones doesn’t disappoint on that score. Whoa! talk about short circuits in this killers mind, which are made more intense with the short chapters that pick up the pace as you read one more chapter and one more chapter. The tension builds to incredible levels when events get up close and personal. There are some lighter moments in this book which creates a realism about the story as the brutal killings are on the darker side. Manx is having a bitter taste of realism in his personal life too which made me step back a little, there is definitely still a lot to find out about him. I like an end to the story that let me get a good nights sleep. Although this is the second book in the series, it could be read as a stand alone novel. Me I am looking forward to number three!